Slowly but surely, we are progressively trailing on. 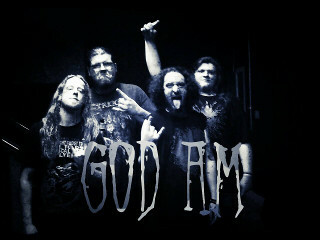 This Noblesville Indiana based band, "God Am" is in the midst of doing vigorous practice sessions and writing. Creating mix sounds from the depths of each of our past as well as our present. 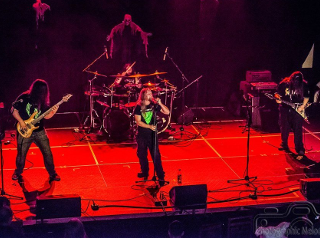 Forging mixed sounds of Grunge and Doom Metal with hints of Progressive metal. WE HAVE FINISHED OUR DEBUT [EP] AND ARE AWAITING ON A RELEASE DATE FOR IT! its been just me (cody) and joe since mid 2012 writing the EP and recording it in the studio. recently we got a bassist as well as a drummer recruited they have been amazing at learning all the songs as well as doing some more writing on the side for whatever we do next. But the objective at hand if making sure we are solid on all the songs off of our EP before we start writing more. We have our first full band gig booked at Rock House Cafe in Indy on March 6th 2015 with Hollowed Ground, Final Drive and Soulsik!